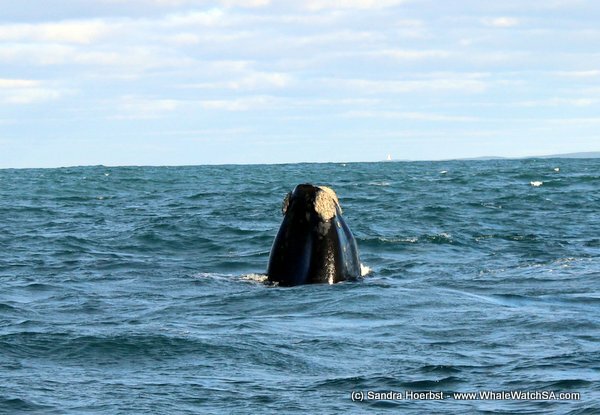 After two no sea days we had a beautiful day back on the water. 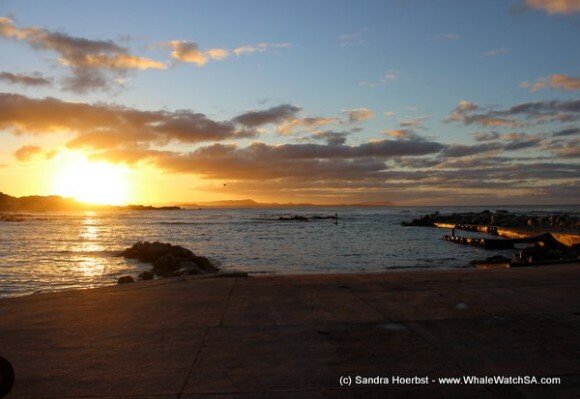 The day did start with an early morning trip and a beautiful sunrise in the Kleinbaai harbour. 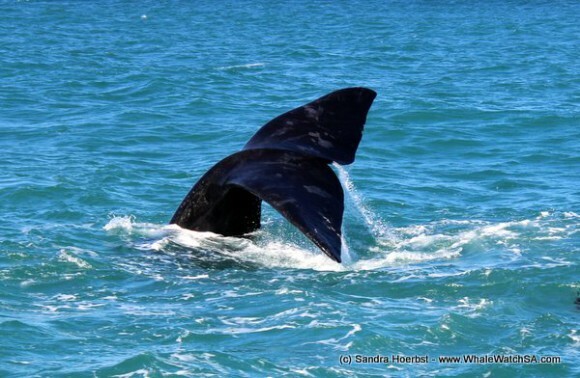 Straight after launching the harbour we headed towards Pearly Beach. 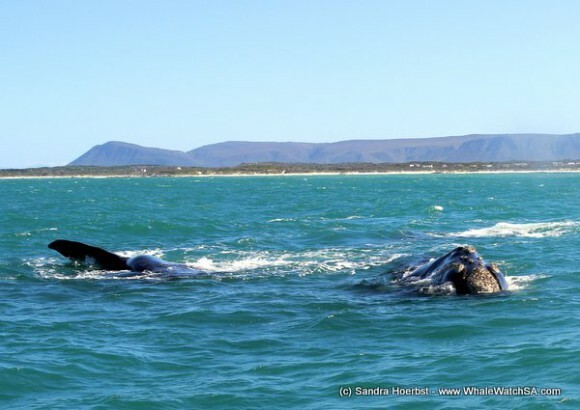 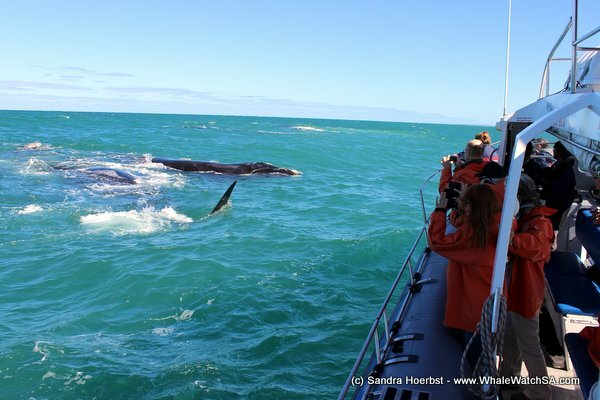 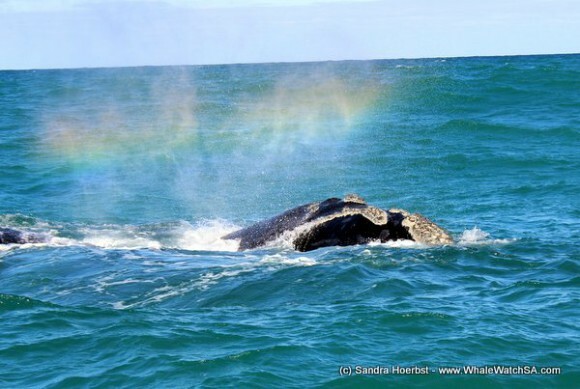 In the Pearly Beach area we spotted amazing mating groups and a few whales which approached us. 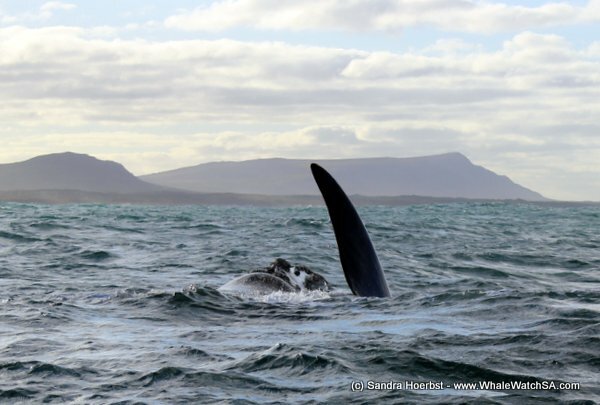 The mating groups have been really active today, rolling around and waving with their flippers. 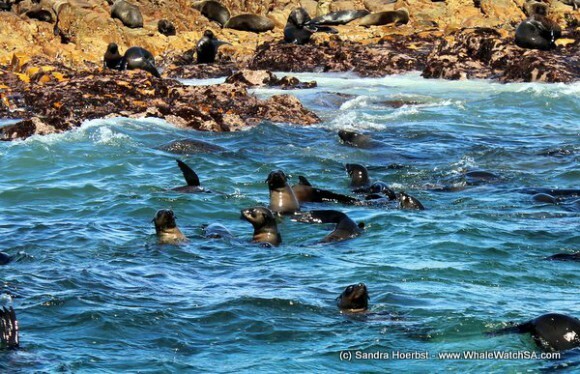 On our way back we headed towards Shark Alley to see some Cape Fur seals on Geyser Rock. 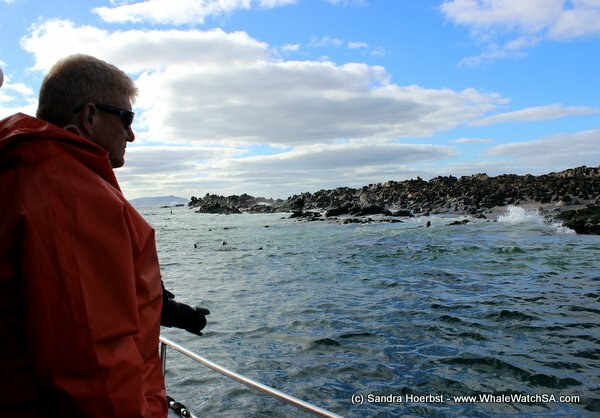 After cruising through Shark Alley we stopped at Dyer Island to spot the African Penguins, what a nice day!